Jay Fai, or Auntie Fai, is known for her scorching portions of noodles with prawns and crab, cooked over charcoal fires. 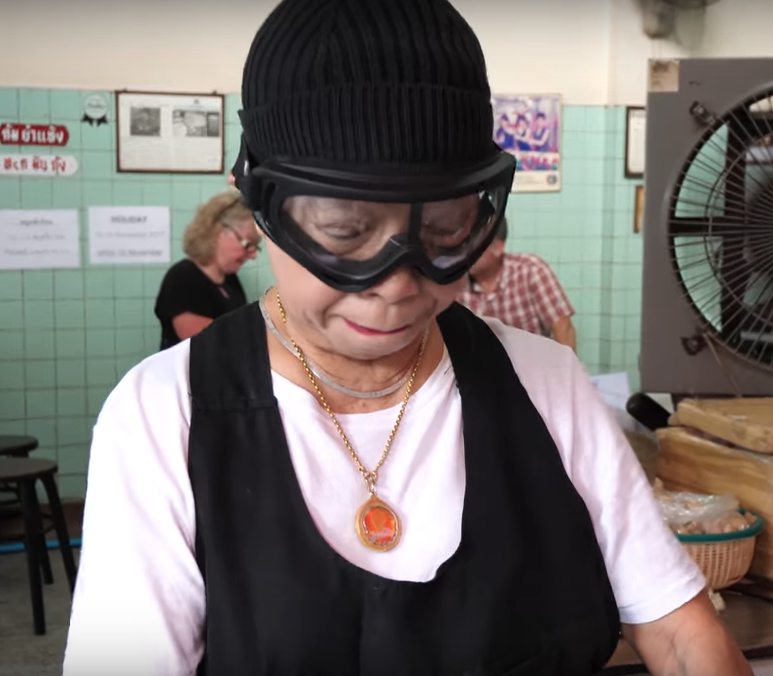 The eccentric chef wears ski goggles to protect her eyes from the hot oil sloshing around giant woks in her tiny shophouse. Jay Fai is acclaimed by food critics. Also internationally. 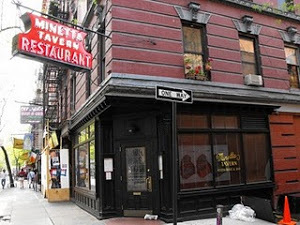 Long before that she was acclaimed by her local patriots who came regularly to appreciate the tasty and fresh seafood served. Today, you still find food critics there, together with Bangkokiens in their Ferraris and top notch cars occasinally parked street side. And of course expatriates. But the ordinary local working woman and lad has disappeared from the scene, long time ago. Part of that explanation is the prices. How to get there: The easiest way is to grab a taxi at Hua Lamphong Metro station (also the closest Metro station to Chinatown). Next to that is grab a map and start walking. It´s about 15 minutes walk from Khao San Road.